Why did 24,000 people put up with this? The only way I would continue trying to listen would be if the story were true. Since this fabricated nightmare is only made up, I will bail. And avoid this author like the plague. Wow, what a waste of time! I suspect this would have gone over much better with other Brits instead of Americans. Really, there is nothing glamorous or romantic about poverty, ignorance, dysfunction, drug addiction, crime and incarceration. These people could just as well have found a pow-wow and exclaimed over the “real Indians” wearing feathers and dancing. The texture of this thing is choppy, inconsistent. And yet near the end I drifted off, only to wake at mention of my hometown of Bakersfield, California. I waited to hear about my town being yet another country music center with its own special sound and claiming Buck Owens, Merle Haggard and Dwight Yoakam. But not a word! Nothing about the Dust Bowl or Steinbeck‘s 1939 masterpiece novel “Grapes of Wrath” depicting the suffering. I went to grade school with Dust Bowl kids. I knew they were poor. Decades later, cream has risen to the top, and the “Okies” have made a fine town. But our journalist rushed off to EL-AY to catch his plane. Fooey! I am so glad this downer was free! Danny, you’ve only scratched the surface! A perfect life perfectly described and a perfect reading of his own book. At first I thought Part 2 would end it, but even if the book seems long, I would not have missed all the descriptions of the diplomacy. Trying to follow the news, I had thought that the other side was just being stubborn. But no, they were trying, and by next morning they had spoken to someone or thought more about it, so over breakfast the picture would have shifted and all the work have to be thrown out. . . . My Vietnam vet husband used to joke, 'I'm so poor I can't even pay attention!" Alas, the people who should listen to this book are way too stupid to pay attention. 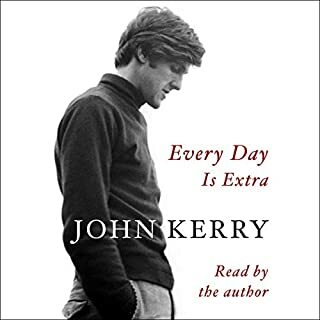 I think Mr. Kerry wrote this book for the future, for whoever is able to pay attention. He should have been our President; the election was stolen by a doofus. Now we have another doofus. . . We need to pay attention and demand the best We need to study, over-prepare and keep a positive attitude. I served as an admin officer in the USAF (and was mostly bored to tears). As a Spanish general wrote to my commanding officer, I wish for John Kerry: May God protect you many years! Wonderful narrator! My counselor knows the author personally, has read the book, heard the author speak. Most of the book is a history. THIS IS NOT A SELF-HELP BOOK! And ideas for self help come near the end. For me, breathing exercises, yoga. If my old husband were still alive, he could use the information. A Vietnam vet, he saw his best friend blown up. 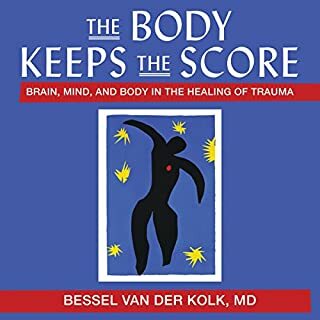 For a younger population and people working with traumatized people, oh, yes, wonderful new developments and resources. Well, this author is half my age and living in another culture. My country is largely Christian; therefore I naturally cultivate gratitude. At one time long ago in a city, I worked serving cocktails to many Japanese businessmen who would get pickled on Chivas Regal. Americans saw and heard many things in those days which caused us to conclude that the Japanese had more money than sense. Nowadays I volunteer my time and budget in order to contribute to good causes. My money is now so tight that I wish for things I need for a very long time. At last, I buy. When the beautiful warm parka was on sale 50% off, I jumped for it! My desire is to be appropriately dressed -- not to show off! I happen to be an artistic type, so I love color. I live beside Lake Tahoe. If I had another home in New York City, be sure that closets in both houses would have snow boots, pants, turtlenecks and jackets! When Jacquie Kennedy Onassis found a T-shirt she liked, she would buy a whole stack in all the colors! . . . Some of this author's quick solutions just don't work in my country. Auctions? [If he means eBay, that is hard work for limited return.] Quick pick-up? Sitting in a cafe all night? Not bloody likely. And not everything can be replaced. I have books in foreign languages, books that are out of print. French and Italian fiber craft magazines. As I get older and older, relinquishment becomes easy in some respects. I see hobby instructions I could have written 50 years ago. In that case, I sure don't buy more, and I donate to my public library for their fund-raising. In the U.S. we have Goodwill and many other thrift shops. My town also has a couple privately operated thrift stores. The owners of these are a bit more respectful toward bone china, fragile vintage clothes, great old finery. 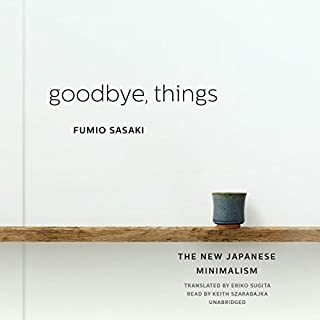 So I may donate to them with a good feeling. . . . No, when I need to make space in my home, Marie Kondo's guidelines have been most helpful for me. . . . I think I heard one translation error in telling about meditation. The meditator tries not to think about anything at all, not concentrate on some word or thought! . . . 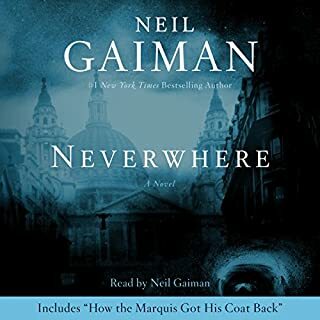 This narrator put me to sleep, and his rendering of quotations originally pronounced by speakers of foreign languages -- that was just irritating. I doubt Einstein had such a terrible accent in English. Chirpy Sappy Stereotypical Predictable . . . Bad! For starters, not all Irishmen are alcoholics, and not all Irish families have too many kids! I thought this thing was for kids and thought I would not let my kids get anywhere near it. Then to find out this is adult contemporary fiction, oh, please! And eighteen thousand people thought it was pretty good? Where are their heads? Have they read Kingsolver, Doerr, Gabaldon, Dumas, Austen, Steinbeck, Wharton, Zafon, the Brontes, Bryce Courtenay or Thomas Mann? 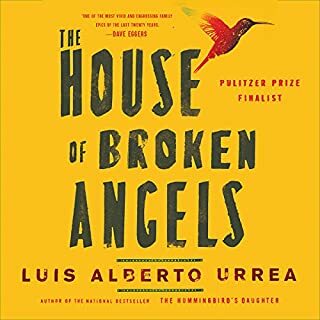 We Are All Broken Angels at a Great Fiesta! 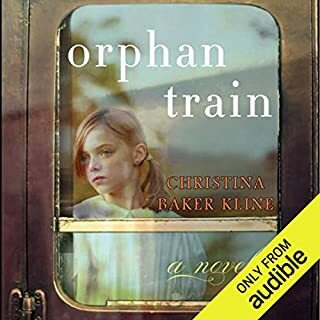 This is Great Literature and the perfect narrator. 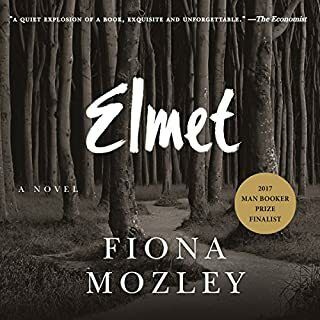 The book went slow for me at first, with people hanging out, going places in hot cars, lots of different names and relationships. I stayed with it and was well rewarded. The house in the story belongs to Big Angel and his wife, Perla. It is Big Angel's 70th and last birthday, as he is slowly dying of a terminal disease. Mr. Urrea obviously writes from his own life, as he has an American mom, and his dad was murdered. Mixed heritage and shocking losses occur in the book with speculation on who really knows Spanish, who really understands all the English around them. And then there's Spanglish -- great fun! The story covers only a few days but clearly goes back and forth to tell how all the lives have progressed. The book is full of delicious insights into the characters. How does a man find out that some of us ladies don't wash our faces in the shower! The scene with the war veteran in the car with his son driving -- having combat flashbacks while on drugs -- oh, dear! I was paralyzed, just listening to get through it. Were those complete sentences? What just happened? An impressionist word painting? This classic will take me several more listens. Note that it is not necessarily about beautiful people living in gorgeous houses, making wild crazy money and wild crazy love. It is more about real life human beings interacting, cooking, cleaning, caring for the old man, remembering other times. I could not tell if the English content of the book filled in for the Spanish because I understood nearly all the Spanish. Don't complain that you deserve a translation. Get the print book and look up words. Or start trying to learn our second language. I came through schools in Bakersfield with Mexican kids, and the USAF sent me to Spain. Now my church has a pastor from Mexico and a Mass in Spanish. Padre Mauricio's English is better than mine! I would not miss an Easter Vigil lasting several hours when he baptizes, confirms and marries a number of people, switching languages as necessary, a stack of towels up front, people going back and forth, little kids falling asleep. This book gives me more insight into these beautiful people described as insular and why they should not try to conform to my UK-gringo-Puritan-Cherokee-Texas-Kansas take on the world. This book is a treasure. Journey into an incredible spiritual terrain unknown to all but the most adventurous seekers. 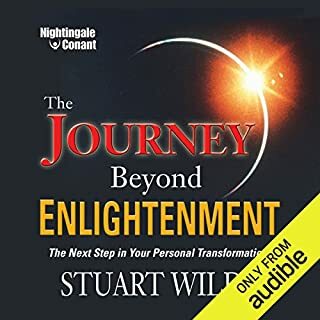 In The Journey Beyond Enlightenment, internationally-acclaimed author and "spiritual warrior" Stuart Wilde will show you how to access and enter what he calls the Mirror World - a hyperdimensional reality that exists beyond the constraints of time, space, and intellect. This is for me the deepest of Stuart's books. It is a nice listen at first. Then when I was in personal crisis, repeated listens absolutely saved my soul. I don't believe this book is in print. Pretty Good BUT NOT THE BOOK SILENT POWER!!! Stuie left us a lot to work with and think about. I have two copies of the wonderful print book of this title. This recording was made after 2001 when he and his friends saw the morph! This should never have been sold as a reading of the book! 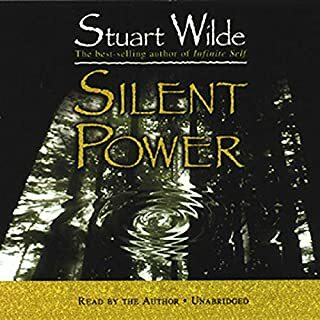 If you just love Stuart Wilde (as I definitely do), then spring for this little recording, but also read the book because they are different! If you have only one credit, I'd recommend the Journey Beyond Enlightenment. Well, everything he does is bloody marvelous. I had an epiphany with Journey recently, after many listens! He has a well maintained website and more recordings available at Quiet Earth. Some of them are a bit light-hearted, off the cuff. 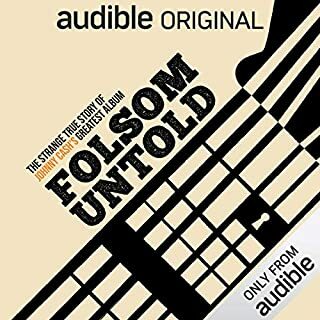 So first get everything here at audible if you're a real disciple. . . . Power is being misused around the world at all levels. Sensitive people who have good hearts are getting hurt. All the look at me ego on social media is not the way. Stuart shows how an upside down quiet way is the correct way to win in life and reach the side door: at the back of the line in old clothes and a bad haircut, helping an old man carry his stuff . . .